Gopalkrishna School is located in the heart of western ghats in the puttur taluk of Dakshin Kannada district of Karnataka. Almost all the students come from nearby villages which are disconnected from the power grid. So the School makes the Class X students stay up in the school campus from January to April every year and prepare for the exams. Though the school is connected to the state power grid, the power supply is erratic . 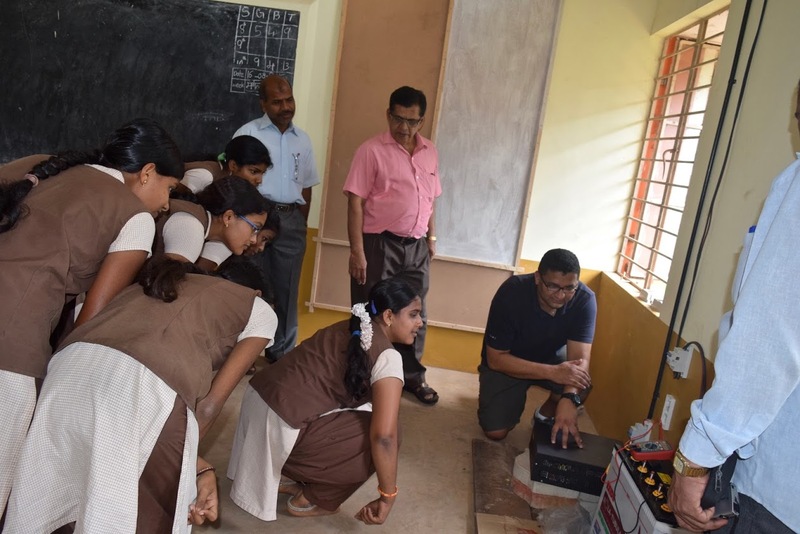 The school authorities wanted to have a solution so that they get uninterrupted power supply for a few rooms so that students could stay in the school and prepare for the exams. 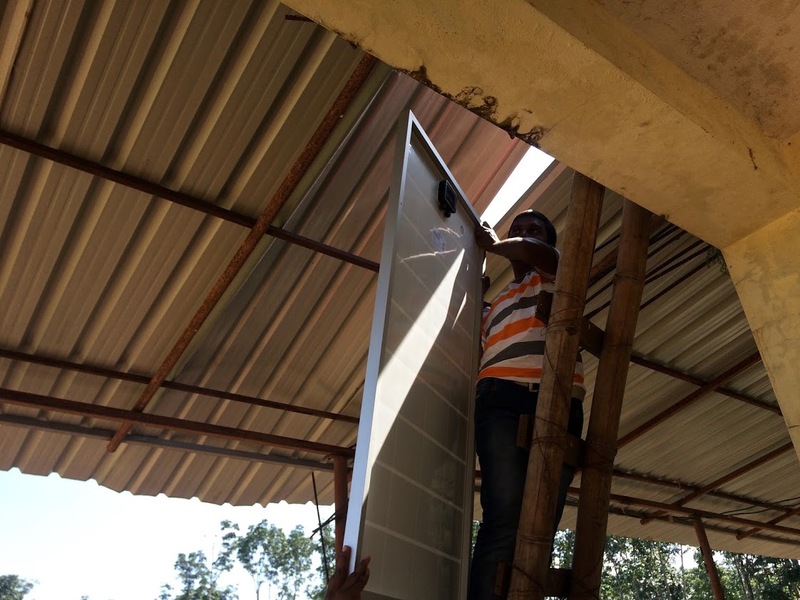 As a part of our CSR, we installed a solar power unit for 2 rooms of the school. 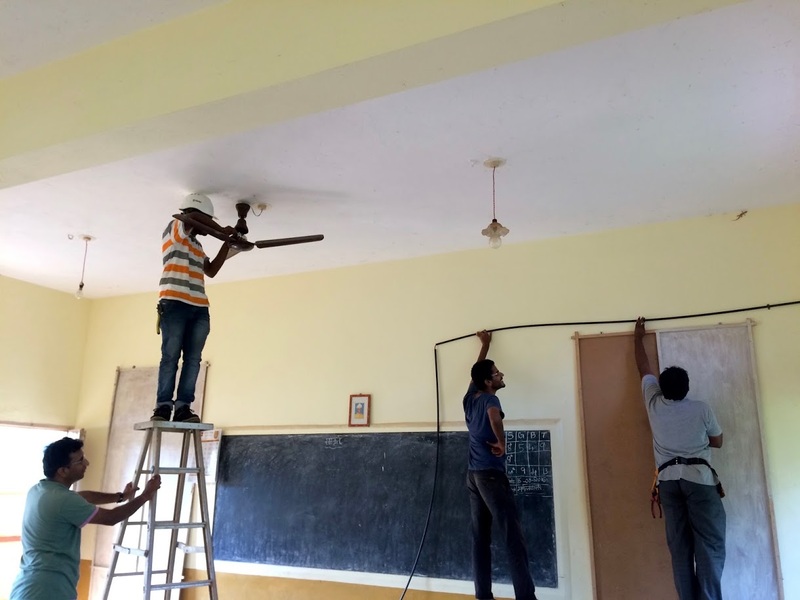 We also replaced all the lights by LED lights and installed 4 energy efficient fans so that students could be comfortable during the humid months.